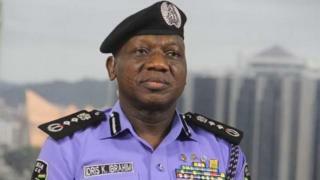 Oga patapata for Nigeria Police, Ibrahim Idris, don order say make dem sharpely scata di IGP Special Tactical Squad and send all personnel of di squad go oda departments and formations for di force. Dis na afta four Special Tactical Squad operatives go raid di house of elder statesman, Chief Edwin Clark for Abuja on Tuesday to go look for arms and ammunition. Police tok-tok pesin, Jimoh Moshood say dem don send all di pipo for di squad go oda department for di police force and senior officers for di squad wey get link to di raid don dey pass through serious discipline. Di inspector general of police, Ibrahim Idris na im set up di Special Tactical Squad (STS) base on im promise to Nigerians to do correct policing for di kontri. Di STS na investigation team wey dey important well-well to di operations of di IGP Monitoring Team. Deputy Commissioner of Police (DCP), Kolo Yusuf na im bin dey head di Squad. Di team don carry out plenti investigation, gbab car snatching gangs, kidnappers plus oda operations wey dem don do for different part of di kontri. Since IGP don scata am, oga Jimoh say oda operational, investigative and response units for di police Force na im go begin do di work wey STS bin dey do before.